The Rector is responsible for the Spiritual Welfare of those in the Charge including communion to the sick, special services and home visits. The role of Rector is currently vacant. Should you feel you would like to talk things over with the Priest – or would like to discuss the healing Sacrament of Anointing and Laying on of hands, or the Sacrament of Confession, please use the contact form to request this and somebody will contact you to make arrangements. The Rector is more than happy to take the Sacrament of Communion to people’s homes if they are sick or unable to get out. Please contact the Rector about this. 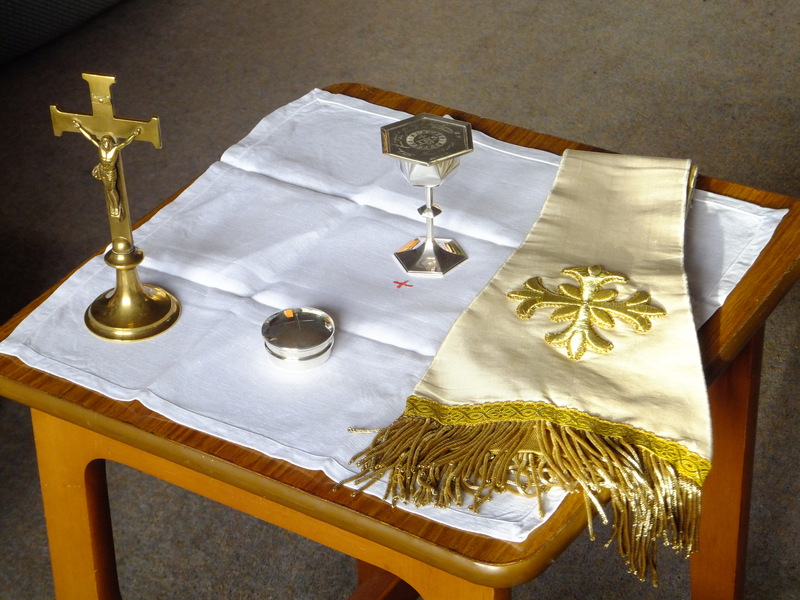 The Church considers that all members should receive Holy Communion at least once a year but are encouraged to do so more often and especially at Easter and Christmas. There are times when the ordinary service of the Church doesn’t fit your need – an example could be if a grandparent loses a grandchild when the family lives overseas – so a special service could be arranged at the Church to help through the grieving process. There may be other occasions that arise where someone feels the need of something special – such as adoption, someone moving abroad, joining the Forces etc.